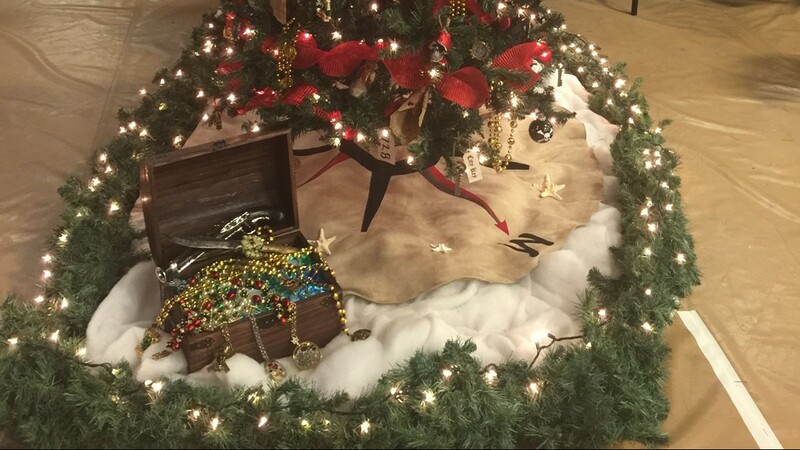 "We pirates like our Christmas booty," Frank Wreath said, describing the colorful beads that dangled from the branches. There are plenty of trees on display at the Long Center in Clearwater. Only one is covered in Gasparilla beads. 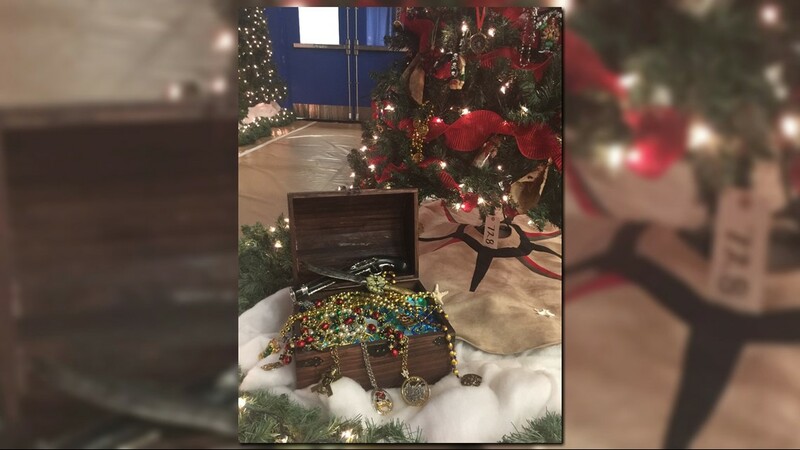 “We pirates like our Christmas booty,” Frank Wreath said, describing the colorful beads that dangled from the branches. With a last name like Wreath, you’d expect Frank to love Christmas. Only, this time of year is bittersweet these days. Kathleen died on November 19, 2015. 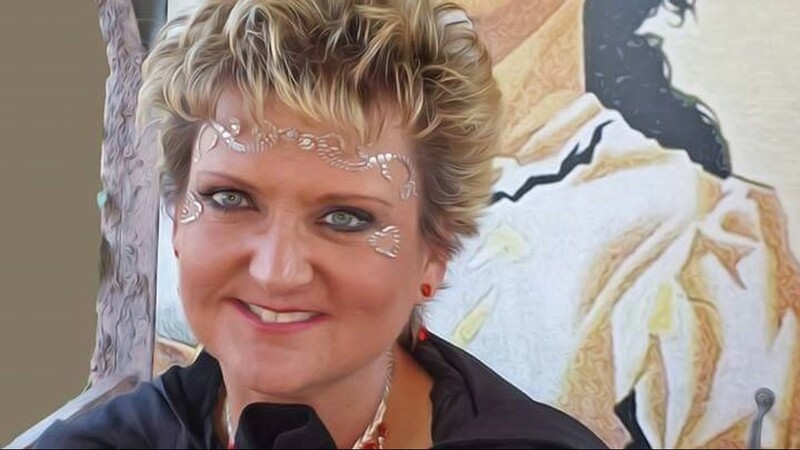 She was the one who convinced Frank to begin decorating trees each year for fundraisers. Setting up the trees at the Long Center is his way of doing so. He took a few years off after Kathleen’s death. This year he said, “it was time”. Wreath’s tree is just one in a giant display which will grow to over 300 trees this year. 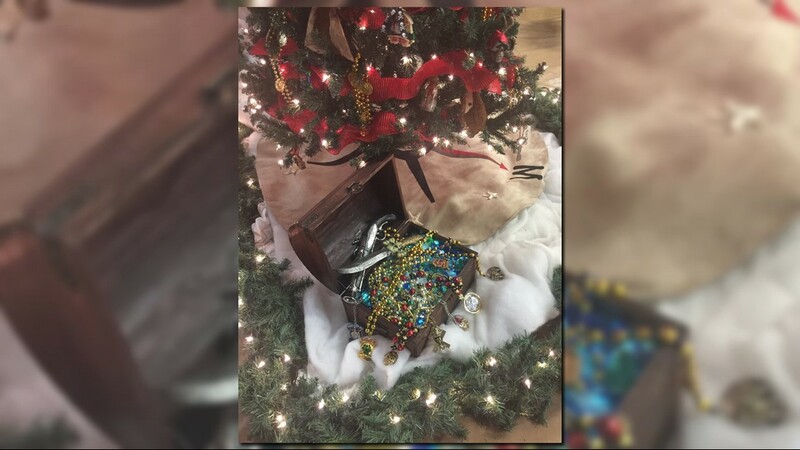 It is part of the Arc Tampa Bay Foundation’s annual Festival of Trees. This is the 34th year of the fundraiser. You can see the colorful trees Friday through Sunday at the Long Center. Last year, the festival raised $150,000 for the local non-profit, which has been supporting and empowering people with intellectual and developmental disabilities (I/DD) since 1963. This year the goal is to raise $155,000. The money will go towards providing the special needs community with inclusive activities throughout the year. This weekend-long holiday event features a sparkling display of trees and wreaths decorated by local businesses, community leaders and families, all available to purchase to raise much-needed funding for those that are served by The Arc Tampa Bay with I/DD. Kids can enjoy arts and crafts and face painting in the Children’s Village and a visit with Santa himself! Guests can also enjoy shopping at a variety of vendor booths from local businesses, daily performances, all to benefit people with intellectual and developmental disabilities served by The Arc Tampa Bay. On Friday, November 16, the Festival of Trees will host the Annual Premiere Night Gala. Mistletoe and Martinis will kick-off the holiday fun-filled weekend. This event will take place from 6:00 p.m. – 10:00 p.m. and tickets are available for purchase at $100 per attendee. 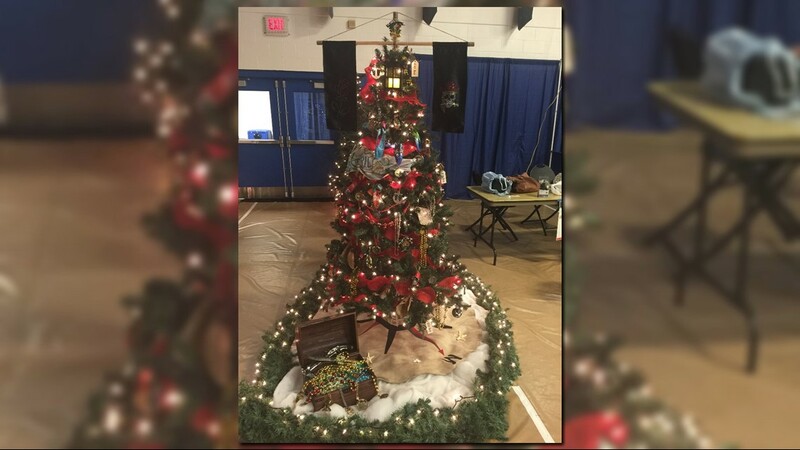 New to Festival of Trees this year, the event will host “Festival Access Night" on Saturday, November 17 from 5:00 p.m. - 8:00 p.m. Festival of Trees is hosting an inclusive evening, Festival Access Night, for the community with I/DD. The cost to enter and see the Festival of Trees is $5 for adults. Kids are free. Just Desserts: Thursday, November 15, 6:00 p.m. – 8:00 p.m.
General Admission: Friday, November 16 9:00 a.m. – 5:00 p.m. Premiere Night: Friday, November 16, 6:00 p.m. – 10:00 p.m.
General Admission: Saturday, November 17, 9:00 a.m. – 8:00 p.m.
General Admission: Sunday, November 18, 10:00 a.m. – 5:00 p.m.